Interest rates are going to continue to rise. That’s the general consensus among experts in various sectors of the financial industry, and commercial mortgage brokers will need to keep that in mind when assessing financing for borrowers. Brokers need to understand how a rising-rate environment affects both their clients’ decision-making process and a lender’s analysis. There are plenty of lenders out there willing to offer a client lower rates that remain fixed for a short period (several months or a few years). After that, they begin to adjust with the prime rate or another index. The question a broker faces at this point is whether an adjustable-rate mortgage (ARM) is the best choice for a particular borrower. Certainly, lower rates are often much easier to sell to borrowers seeking commercial financing, but when presenting an offer to a client, brokers should take into account more than the interest rate a lender is offering. A low adjustable rate may be a benefit in the short term, but with rates likely to climb, the uncertainty your borrower could face about payment levels may not serve them well over the long term. Equally important is the question of how an underwriter will examine cash flow in a rising-rate environment. Some lenders will evaluate debt-service ability on an ARM product using the cap rate. Others will use the start rate plus another amount. These higher assumed rates may result in an otherwise-qualified borrower not making the cut in your lender’s mortgage program. As the professional advisor in this transaction, you need to know how your lender is evaluating cash flow or debt-service calculations when rates are rising. Arguably, a fixed-rate, fully-amortizing mortgage — a mortgage with a fixed interest rate and periodic-payment requirements that will be fully paid off at the end of a set term — is the best type of financing you can provide most commercial borrowers in the current interest rate environment. Generally speaking, fixed rates tend to be somewhat higher rates, and it can be difficult to sell borrowers on them if they’ve been conditioned to believe that a low interest rate is the most important thing to consider. But fixed-rate, fully-amortizing mortgages also offer borrowers (and brokers) a host of benefits that need to be weighed in the decision-making process. For starters, a fully-amortizing mortgage with a fixed rate offers your borrower long-term financial stability. These types of loans often boast terms ranging from 15 to 25 years, so your borrower won’t need to worry about the loan coming due in a few years, forcing them to refinance or to pay off the loan. This insulates them from high rates in the future, changes in cash flow or changes in the underwriting landscape. The recession of the late 2000s might be over, but we all remember how hard it became to refinance a ballooning note. It doesn’t pay to underestimate the appeal of the financial security that fixed-rate, long-term mortgages offer. One of the most obvious benefits of a commercial mortgage with a fixed rate and fully amortizing term is your borrower will be making a consistent monthly payment throughout the life of the loan. This means they will know what their costs will be and that your lender’s cash-flow analysis is based on a fixed debt-service amount for the life of the loan. By locking in the monthly payment, you ensure borrowers are prepared to pay on a regular basis, and it also avoids any payment increases. So-called “payment creep” was one of the challenges small-business owners faced during the recession. Some borrowers took out adjustable-rate mortgages that had appealing start rates, and when interest rates began to climb, they could not handle their payments and struggled to refinance or pay off notes before properties were foreclosed upon. This is not to say adjustable-rate mortgages never make sense for borrowers interested in obtaining a commercial mortgage. In some cases, they do. It’s crucial brokers understand the pros and cons of ARMs, and how they are underwritten. As the broker, you need to understand whether or not an ARM product is the right fit for your borrower. You also need to understand how your lender views ARM loan underwriting so that you can match the deal with the right lender. Taking the time to evaluate what an ARM loan means to all parties not only benefits clients — it benefits brokers and their businesses. Commercial mortgage brokers rely on the trust of their borrowers and the relationships they build with these clients for future business. As a broker, you’ll want to do all you can to enhance these connections. You are much more likely to get referrals and repeat business if you take the time to explain to each client the benefits and drawbacks of both adjustable-rate and fixed-rate commercial mortgages. You need to understand it’s the type of advice and guidance your borrower is paying for. The more you help your client understand and choose the mortgage that best fits their all-around needs, the more likely you are to get a positive referral. At the end of the day, you’re going to want satisfied customers who are confident you helped them secure the best possible mortgage available to them — not just the lowest interest rate. In terms of marketing your skills and services as a commercial mortgage broker, there’s no tool quite as valuable as good word of mouth and positive testimonials from past borrowers. Many commercial mortgage borrowers are so focused on interest rates they can’t see the forest for the trees, so to speak. There are many details brokers and borrowers must be aware of when seeking financing. The rate is an important piece of the lending puzzle, but it’s not the only piece. As a knowledgeable financial professional charged with assisting borrowers, it’s your job to educate borrowers and make sure they understand the costs and benefits of mortgage offers. Yes, adjustable-rate mortgages will mean a lower rate and lower monthly payments, at least at first. That will be appealing to many people. As a broker, however, it’s your job to help the borrower determine the total costs of a loan and how rate adjustments play into the equation. In an environment where rates are going to rise, you also need to be very careful about which lenders review your deal. 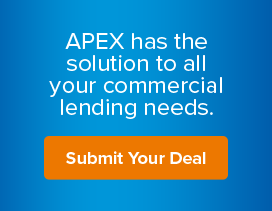 It is your job to match the loan request with the best lender. If your lender uses a rate other than the start rate to evaluate your borrower’s repayment ability, you need to know this. You need to make sure they can qualify for the mortgage. Remember, a fixed-rate mortgage means your borrower will be making a payment that never changes. They will be in charge of their financial destiny. You want to help your borrower see that a fully amortizing mortgage has a longer payment term, and that means your borrower won’t need to worry about refinancing a ballooning loan at a time that might not work well for them. It’s easy to sell small-business owners looking for commercial mortgages on low interest rates. Most of these borrowers have been primed to see the lowest possible rate as the best deal. That’s not always the case, however, particularly in a rising-rate environment like we are currently experiencing. At present, consumers are enjoying comparatively low rates due to the Fed’s monetary policy, but rates will likely continue to climb. Brokers who fail to take this into consideration are doing themselves and their borrowers a disservice. Those who do heed the Fed’s policies, however, and factor those issues into securing the best financing for borrowers, with the right lender, can expect satisfied customers, a good reputation and a growing book of business. A version of this article originally appeared in the May 2017 commercial edition of Scotsman Guide.